Cadillac tells is that 2018 will the ATS Sedan's final production year. 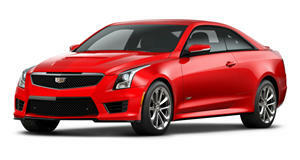 We’ve known since December that the Cadillac ATS sedan had an uncertain future. Earlier today, there were coming out claiming the ATS Sedan was no longer listed on GM's fleet order guide, although the ATS Coupe and ATS-V Coupe were still there. So we reached out directly to Cadillac to get to the bottom of this and we can now officially confirm that 2018 will the final model year for the ATS Sedan. 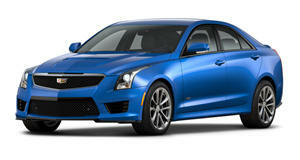 The ATS Coupe, however, isn't going anywhere. At least for the time being. In an email conversation with Cadillac communications specialist Donny Nordlicht, we were told that "Production of the ATS Sedan is ending due to extensive plant upgrades, expansion and re-tooling to prepare for the next generation of Cadillac sedans. Cadillac's future sedan portfolio will consist of three sedans, positioned in different segments and clearly differentiated by size and price." If you recall, in March previous Cadillac President Johan de Nysschen said that a . Launching such a vehicle would enable the CT6 to continue moving upmarket. This potential CT5 would be built on a rear-wheel drive platform. Another reason why the ATS Sedan is finished is slow sales. Last year, just 13,100 examples were sold: that's coupe and sedan combined. In 2016, that figure was 21,505. 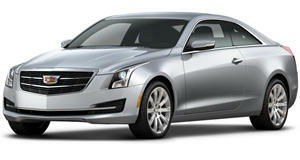 The ATS Sedan's best and debut year, 2013, saw 38,319 examples sold. It’s been downhill from there. Meanwhile, the ATS and ATS-V Coupe, which are on a later life cycle, will continue into 2019. At the moment, the ATS Sedan, we can also confirm, is still on dealership lots, as its "Production rate and inventory levels are being managed to ensure retails sales availability through the end of the year." At the New York Auto Show this past March, Cadillac launched its all-new XT4 SUV, which is part of the brand's 10-year plan that will see the debut of several new models. Был найден мной важный веб сайт с информацией про proffitness.com.ua.